Do you want to soar to great heights in your life? Do you need to summon up true courage? Are you called to deliver messages from the Divine but need support in learning to access them? 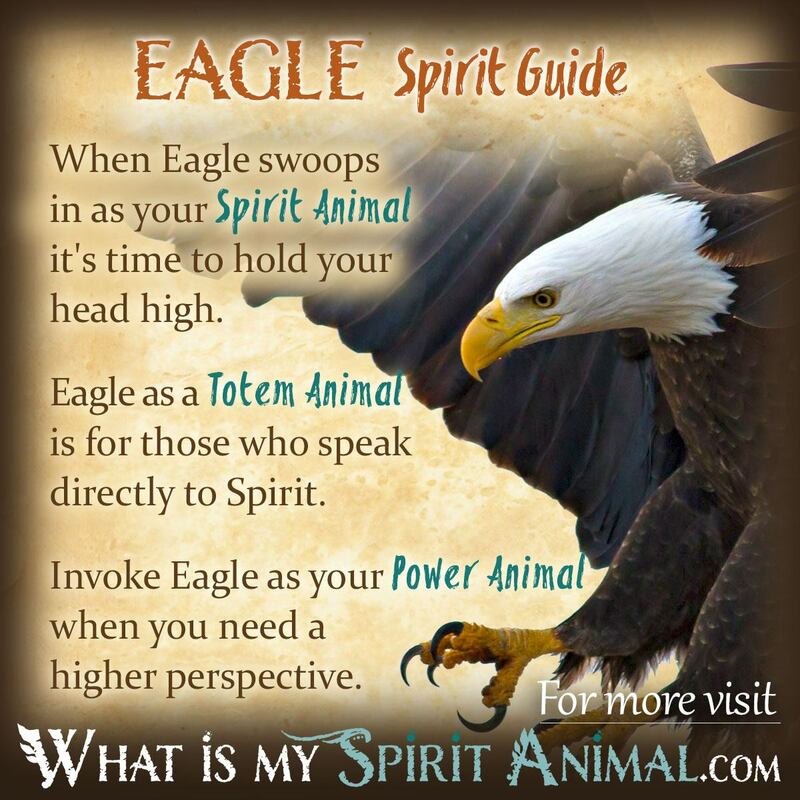 Eagle as a Spirit, Totem, and Power Animal can help! Eagle teaches you embrace an elevated perspective while bravely speaking your truth. Delve deeply in Eagle symbolism and meaning to find out how this animal spirit guide can illuminate, support, and guide you. Because the Eagle flies higher than all other birds, He is considered Chief of all flying creatures. This certainly also connects Eagle with the Air element. He also rules over the Eastern quarter of creation, which represents renewal and the season of spring. One of my favorite teachings of Eagle is “believe in your ability to satisfy the hunger”. Meaning, Eagle’s are so adept at hunting they spend very little time doing it. They exert only a small amount of effort finding and claiming that which “fills the empty spaces within”. If you have a dream, if you desire to achieve a goal that will make your soul feel more “full”, take your cue from the all-confident Eagle and “know” your aim will be straight and true. Egyptians regarded the eagle as symbolizing both the Great Spirit and the sun at noon. They saw the Eagle as rising over mundane restraints into the realm of mystical awareness and spiritual progress. The Native Americans agree with this assessment. To the ancient Romans and Greeks, the Eagle was sacred to Jupiter/Zeus. The Romans used an Eagle to represent Roman emperors, while the Greeks said Zeus could take the form of an Eagle to transport his lover to Mt. Olympus. Hittites used the image of a two-headed Eagle in battle to protect them from surprises. From high above the Eagle symbolizes an awareness those mysteries that humans find difficult to grasp. Eagle’s vantage point allows him to discover patterns that guide us toward greater spiritual knowledge. The soaring of an Eagle inspires awe. 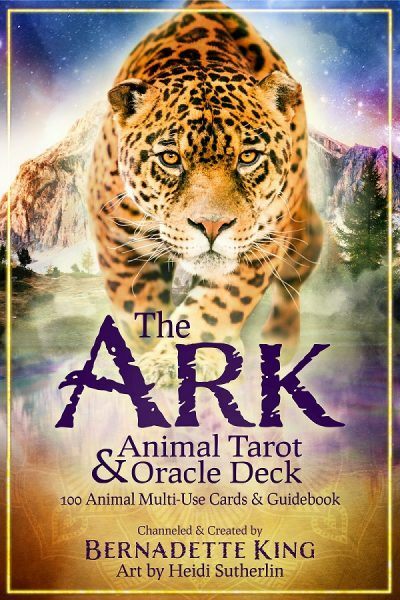 From its place in the heavens the Eagle Spirit Animal can watch over us as a guardian, bear messages to and from the divine, inspire insight, manifest well-being, and offer us wisdom. The Eagle as a spirit animal put you on notice that the winds of change are headed your way. Some type of rebirth or renewal is about to happen, and Eagle prepares you for that change by showing you how to tap your inner strength and fortitude. Stand up tall, wrap courage around your waist, and stay true to yourself. This is a time for self-discovery. You may need to take a retreat to get your mind and spirit together and internalize the dramatic transformation on your doorstep. Eagle is a mover and shaker who stretches your limits to new heights. Eagle as an Animal Spirit Guide often shows up when we face challenges. On his wings he bears determination and the laser sharp focus to get through to the other side of our problems. Some of this symbolism and meaning has to do with ancient lore regarding the Eagle flying so closely to the sun. As a metaphor, “we must be willing to get a little scorched if we are to achieve greatness”. Additionally Eagle as a Spirit Animal says, “look forward.” Don’t give up on your quest, but embark on it with uprightness in your soul. To accomplish this you have to be ready to stop outmoded habits or ideas to embrace something new and wonderful. Those born with an Eagle totem want to experience everything they can. They spread their wings fully on every project or adventure, yet nearly always manage to keep one foot on the ground. Remember, Eagles fly higher than any other bird. The heights of success that those with the Eagle Totem Animal can achieve is astounding. But no bird can stay in the air forever. They must come back to earth. Eagles have 4 toes. In Numerology, 4 is the number of “solid foundations”. In this, Eagle stays grounded to Mother Earth just as well as it soars toward the heavens. This is no minor ability. It is to be reckoned with as few can achieve this remarkable feat. Because of the Eagle people’s ability to fly so high yet stay grounded, they’re great at global thinking and, as such, make potent leaders and teachers. Generally, those with Eagle as a Totem Animal are strong, brave, creative and insightful. Know that as an Eagle Person, others may find your perspectives a little daunting. You see more than the average human. Your perspective from the sky provides solutions that others cannot see because they’re too close. This Totem Animal also means that Spirit often guides your actions and words, even unwittingly. Be aware of that sacred duty and endeavor to speak with love. Otherwise you could become harsh with your beak and hurt someone without realizing it. Call on Eagle as a Power Animal when you need to improve your perspectives from a higher vantage point. When you face struggles in your job or relationship, Eagle Spirit continues to gives you insight as well the ability to make sound choices. Hint: Since Eagle loves heights you may have greater success in contacting Him from a high place (hill, mountaintop, etc.). One of the most profound medicines that Eagle energy can help us with is knowing when to speak and how “forcefully.” While Eagles are not very vocal, their jaws and beaks are incredibly strong. When you need help deciding what to say and how to say it, Eagle Spirit can help. While Owl medicine is legendary as a spiritual aid for ‘clear seeing’ or ‘being able to see that which has been hidden’ – Eagle as a Power Animal can help us see into the past, present, and future. The Eagle’s vision is 8 times greater than humans. While there are many Eagle traits one could invoke during times of need, one of them must be used with great caution. A Bald Eagle can strike their prey with twice the force of a bullet from a rifle. Sometimes in life, no matter how peaceful a path we’ve chosen to walk, we have to “strike a target”. Now, to be very, very clear, I’m not talking about using a gun or harming any living thing. But, let’s say you want to launch a business and build a worldwide brand, exit an abusive work or personal relationship, graduate with honors, get your child or pet the treatment they need, etc. When an achievement we want to make is sacred to us, sometimes we need to be forceful – we need to ‘strike’ with the accuracy, speed, and impact of a metaphorical bullet. Again, I’m not speaking of real bullets. Use wisdom and good judgement when you tap into this energy. Be very sure that you can handle the trajectory once you’ve set it in motion. Remember, all actions have consequences. However, used appropriately, and with no ill-will intended – this part of Eagle as a Power Animal can serve you well. Native American tradition embraces both the golden Eagle and the bald Eagle as sacred creatures. Depending on the tribe, Eagle represented bravery, wisdom, forte and as the bearer of prayers to the Spirit realm. The feathers of these birds were used in council meetings, and one myth tells us that the Sun Bringer, an Eagle opened his weeks to reveal the sun and closed them to bring darkness. Three Celtic Gods has Eagles associated with them. Llew (Welsh) and Odin (Scandinavian) both have the ability to transform into an Eagle. Meanwhile in German tradition Eagle represented Wodan chief of the gods. Dreams about Eagles can have several meanings. An Eagle in flight often talks about taking a different perspective on a situation that’s eluded you. It may also be a message from the Universe to pay closer attention to your inner voice and trust it. Learn more about Eagle Spirit by reading Eagle Dream Meaning & Symbolism on WhatIsMySpiritAnimal.com! In Feng Shui images of Eagle placed in the North and East section of a home brings luck, love and a committed relationship. Be certain, however, to make sure these images look as if they are flying toward your house for greatest success. Eagle images are also said to be good for business and act as a guardian of the premises. I just had an eagle drop a fish in my back yard…lol So I cleaned it and thanked the eagle. In my meditation, a bald eagle came. I have been debating on a decision about a home to buy, he landed on the table in the patio area and stomped his foot on the table while looking at me. I took this as the sign that ‘this is it’. Thank you Mr Eagle! Such a beautiful and magnificent bird he is! I dreamed of an injured eagle I was hugging it and calming it I could understand it telling me I didn’t know how it got hurt…. I kept caressing it… It turned into a little boy. I asked it if it could fly and his name.. It flew and his name was Paul….he was so adorable ! got to even ask ask him his B-Day October 17 a day after mine!….. Vivid dream!! So the dream is I’m stood on a grass clearing to my left the grass goes off into the distance with no obstructions to be seen,on the area I’m facing and to my right are trees not overly tall but it’s I guess a young forest growing. I see others none I know in waking life,there’s a young woman with brown hair slimb in build and slightly shorter than myself,who I try to speak to but she’s a few meters ahead she looks back at me and smiles then goes into the trees where there are birds that most resemble eagles going between the tree tops see three or so doing there thing they all at their own time see me but are happy to let me get very close without any fear of being close enough to touch. One is much bigger than the others that stands on my arm and lets me stroke them and seems very calm and happy for me to. I would be humbled by any input anyone’s got to help me figure out what it means.